For organizations that seek change, few factors are more important than creating the right culture. Lou Gerstner said it was the main issue in the transformation of IBM from hardware to services. The challenge is that few understand what it is, or how it works. It can be hard to define, because it works in subtle ways. It shapes the behaviors of people in an organization, but it is also shaped by them, in a two-directional flow of influence. It reflects how people in the organization have come to view success, over time. Executives can try to shape it, but without significant investment in the effort, surface attempts to force change routinely fail. 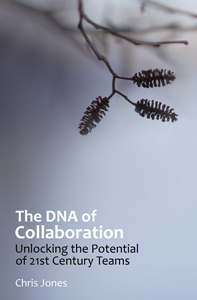 I’ve covered these dynamics in Chapter 10 of The DNA of Collaboration, based on research I started in 2010 on this fascinating topic, recounted in my original 8-part blog series. Q1. How can we navigate the complex layers of Org Culture, eg. professional, hierarchy, generational, demographic? Q2. Which Org Culture model do you see most: Control, Silo, or Network? Can they coexist? Q3. What happens in Cultures where contrarians rule? Q4. Can Organizations have a Culture of trust? If so, how? Q5. Can employees make a difference and influence change? We could go on for days on these topics, and perhaps we need to. These are the complex problems that motivated my research, that over time turned into the book. I kept seeing dysfunctional behaviors in organizations large and small, and set out to discover what what happening. It’s not just about culture, of course. But culture is where so many of the issues surface, on a scale that’s maddeningly difficult to influence. Ask Lou Gerstner. Ask your CEO. Ask yourself. Is the culture of your organization empowering it’s employees for success? Is there something employees can do about it? This entry was posted on Saturday, September 22nd, 2012 at 2:36 pm	and tagged with collaboration, culture, factory model, handy, kotter, motivation, networks, organization change, respect, schein, silos, trust and posted in booktour, culture, trust. You can follow any responses to this entry through the RSS 2.0 feed.